By business expertise and know-how of this domain, we are engrossed in presenting Cylinder Cap. We are manufacturing Gas Cylinder safety valve guards & caps, These valve guards are being supplied to reputed & leading cylinder manufacturers as per international standards. We assure you of quality product and price advantages due to bulk production, with maximum automation. We manufacture End Covers for Pneumatic Cylinders as per the requirements of the customers. Processes of manufacturing is Sand Castings or Gravity Die Castings. 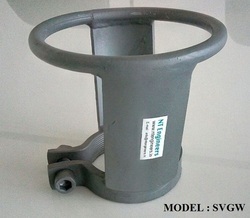 Model SVGO is used for all H.P. Cylinders (using key type valves) like O2, N2, CO2, Ar, He, H2 etc. The top ring is 'O' design and latest. It helps in easy movement of cylinders. Banking on the skills of our qualified team of professionals, we are engaged in offering superb quality assortment of Cylinder Plastic Cap. Our products are LPG Cylinder's Safety Caps, Spindle Guides, Thread Protection Cap, Joint Packing (O-Ring), Rubber Gasket, etc. Our safety caps and Joint Packing (O-Ring) are consumed by all the three Indian Government owned companies i.e. M/s. Indian Oil Corporation Limited, , M/s. Bharat Petroleum Corporation Limited, M/s. Hindustan petroleum Corporation Limited. 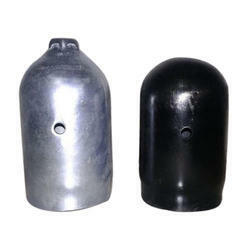 Our clients can avail from us a wide collection of best quality LPG Cylinder Safety Caps. These products are made from high quality components. Lpg gas cylinder cap plastic 22 mm. Plastic material name delrin white. All private cylinder using size.